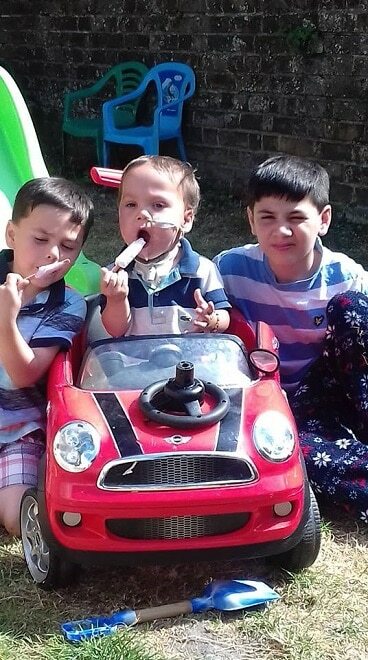 A Margate mum-of-three is appealing for help to create a place where her three boys can eat and play together after having to convert her dining room into a bedroom for her youngest child who suffered liver and kidney failure last year. 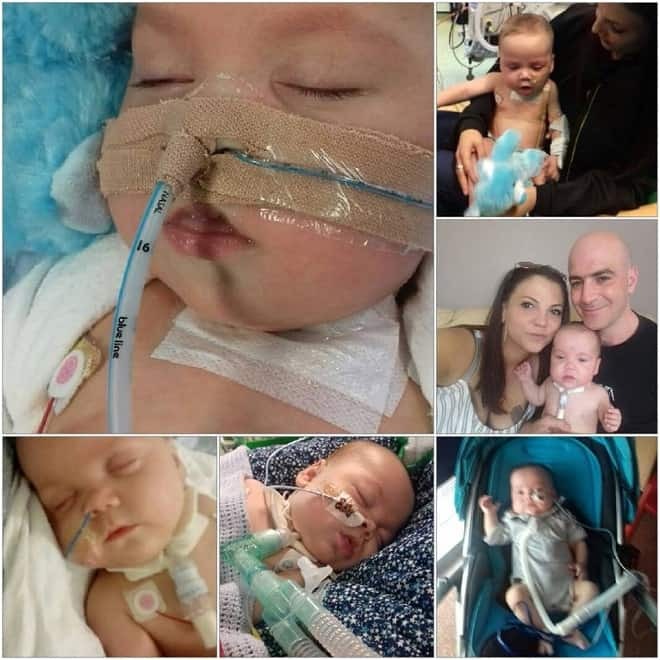 Krystle Evans, 32, and partner Jay Enver have changed the dining room into a bedroom for 18 month old Kayden, who has already proved to be a real fighter in his short life. Kayden was born at 27 weeks, weighing in at just 2lb 7oz. 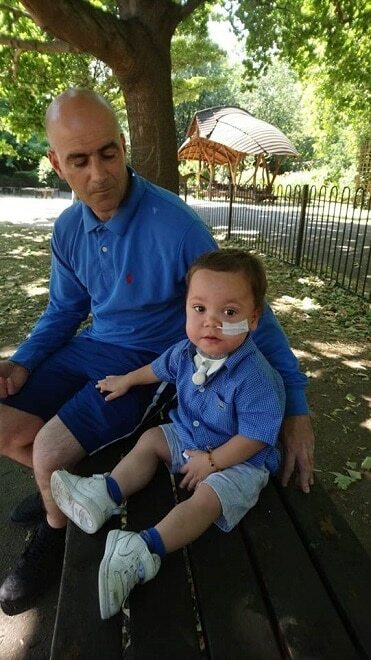 At three-months old he developed problems when his airways started to close. 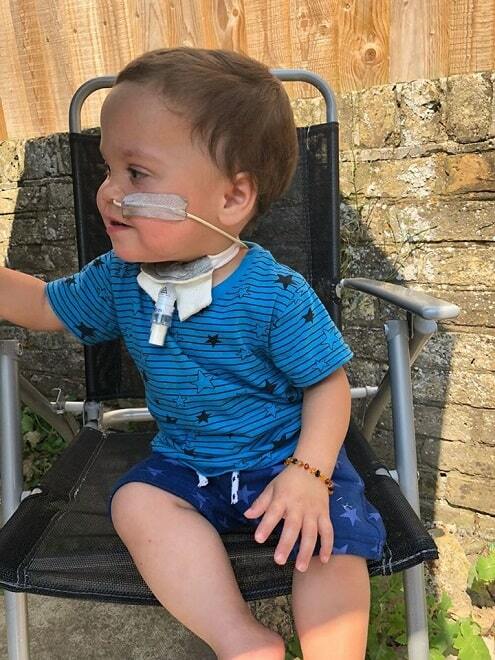 In July last year Kayden struggled to feed and fluid was getting trapped in his lungs. 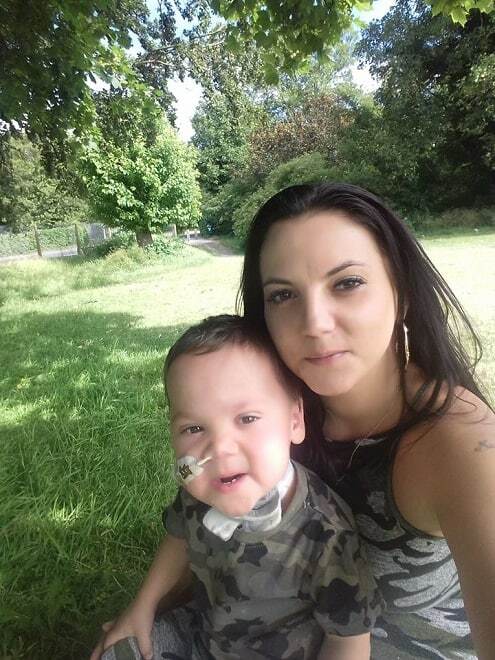 Krystle and Jay carried out an emergency tube change but when he started to bleed they rushed him to QEQM Hospital. Krystle said: “We had to wait 24 hours for him to be taken to London and in that time he was just deteriorating. Then in a few hours his lungs collapsed and his whole body was shutting down so they put him on a bypass machine life support for seven days . “He spent four weeks in the high dependency unit. He’s now nearly two but has spent most of his time in hospital. He’s been home for 7 months now but we still have a lot of appointments and have to travel to London for check-ups and surgery. Kayden now has a nasogastric tube and can eat thickened food. Krystle said: “He is doing really well but we really want him to be able to eat at a table with his brothers and we want to be able to do that as a family. “We are hoping that being at the table, watching his brothers eating and interact, will help him learn how to eat normally. “My eldest, Tyler, who is 12, also needs to be able to sit at a table to do his homework. I have a conservatory, but it needs rebuilding and that is why I am asking for a little bit of help. 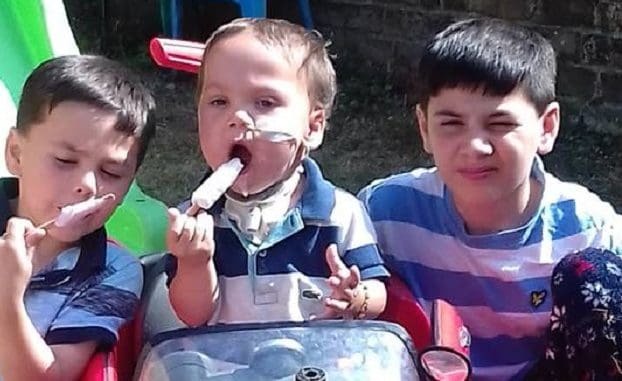 A fundraiser has been launched to help raise the £5,000 needed to create the space for Kayden, Tyler and six-year-old Riley.